For many people, the first few years of graduate school are pretty much alike: spending hours reading journal articles, taking classes, formulating research questions, doing the research, and writing papers. Aside from the occasional required self-care (e.g., sleeping, eating, bathing), graduate school becomes all about the academics. Sure, during first-year orientation I learned about the events I could be attending, the graduate student government, and the community, but those concerns were easy to ignore while I focused intently on research. At the time, I didn’t understand the importance of the idea that, even in graduate school, it was important to have and maintain a work-life balance. My involvement started small; I began as a Campus Representative for the APS Student Caucus (APSSC). Soon after, I gained experience in other leadership positions (e.g., Representative to the Graduate Committee) at the departmental and college levels. At first glance, these experiences seemed only to increase my workload. Eventually, however, they also made graduate school more enjoyable. I had more people to talk to and a variety of things to occupy my mind. In my fourth and fifth years I raised the bar by joining the Lehigh Graduate Student Senate and becoming the Membership and Volunteers officer for APSSC. So why did I do it? Why is it important to get involved outside of academia as a graduate student? One of the more obvious benefits of getting involved in organizations and positions outside of your research is the opportunity to network. 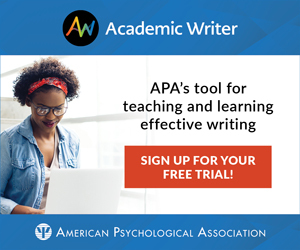 Joining organizations such as APS can help you connect with other professional psychological scientists as well as with other students in fields adjacent to yours. Student government also offers excellent networking opportunities: You get to work with other graduate students, faculty, and university leadership across your campus. This gives you opportunities to learn about other fields and create connections for future job or internship opportunities. Depending on the size of your research lab, you may not get the chance to work as part of a team. Collaborating in student government or another organization helps you to think differently. Solving a problem from a team-based perspective requires unique skills. Experience in group projects is an essential skill for many jobs, especially those outside of academia. Getting involved in student government or other leadership positions is essential for developing better communication and interactive skills. You will have the chance to practice talking about your work more broadly and develop ways to communicate with new people. Getting involved in extracurricular activities can help you better the skills you will need during and after graduate school. Time management is among the most important. If you do not come up with a system to manage your time effectively, it will be almost impossible to truly get involved with experiences outside of your academic studies. I use reminders on my phone to keep me on track. Other strategies may include setting aside a certain amount of time for a task or working in groups to ensure accountability. Additionally, being a student leader helps with organization skills, as you often need to switch gears between graduate school and leadership activities. Joining an organization or club gives you many opportunities to engage with diverse groups of people. Interacting with such groups helps to broaden your knowledge and understanding of others and allows you to foster new ideas and perspectives. It gives you experiences that you may otherwise overlook. Take the chance to learn about and celebrate diversity. One of the greatest rewards of getting involved with activities outside of your graduate studies is the ability to make a difference in your community. In student government, you will get the chance to plan events and create spaces for creative thinking and networking. You can be a force of change for your graduate student community by helping to advocate for and protect your constituency, improving graduate student life and policies affecting graduate students. I also recommend being active at the national or international level. Joining organizations such as APS can foster relationships between other students and the organization. You can help create opportunities, such as new funding sources, for students. In addition, it is useful to get involved with organizations such as the National Association of Graduate and Professional Students, which effects changes for graduate students at the national level. This organization fosters communication between graduate students and their congressional representatives and senators. It is also engaged in legislation that affects graduate students. Undertaking projects outside of your graduate studies is fun! Not only do you make new friends, but you get the chance to relax. Give yourself something to do to get away from research/teaching/practicums. Help plan events, but also attend those events. Get involved in a group that allows you to travel. Get involved with something that really matters to you. You’ll enjoy your graduate school years more and have a better quality of life. Iiona D. Scully is the 2018–2019 Membership and Volunteers Officer for the APS Student Caucus. She is a fifth-year doctoral candidate in the Psychology program at Lehigh University, where her research examines the dynamic nature of human memory, focusing on mechanisms of long-term memory change.